Messy babies must be photographed! It’s some kind of unspoken rule. 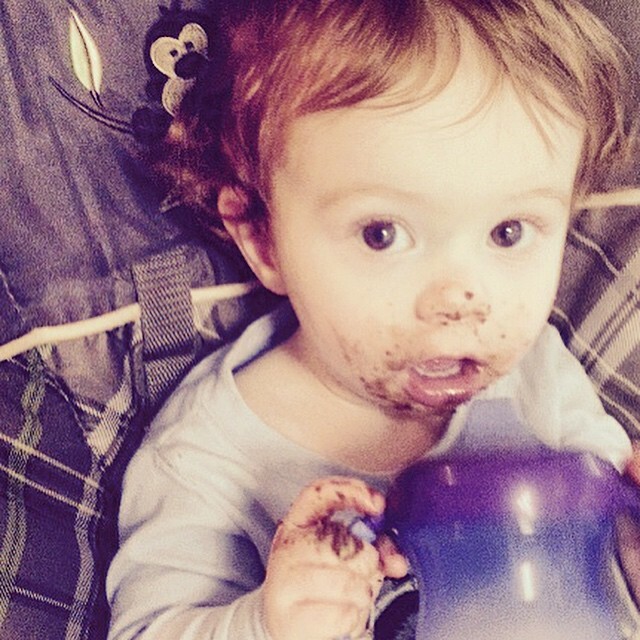 Here is my little Henry, covered in sea salt chocolate chip cookies. YUM! For this layout, I used Basic Grey’s Ambrosia paper line. 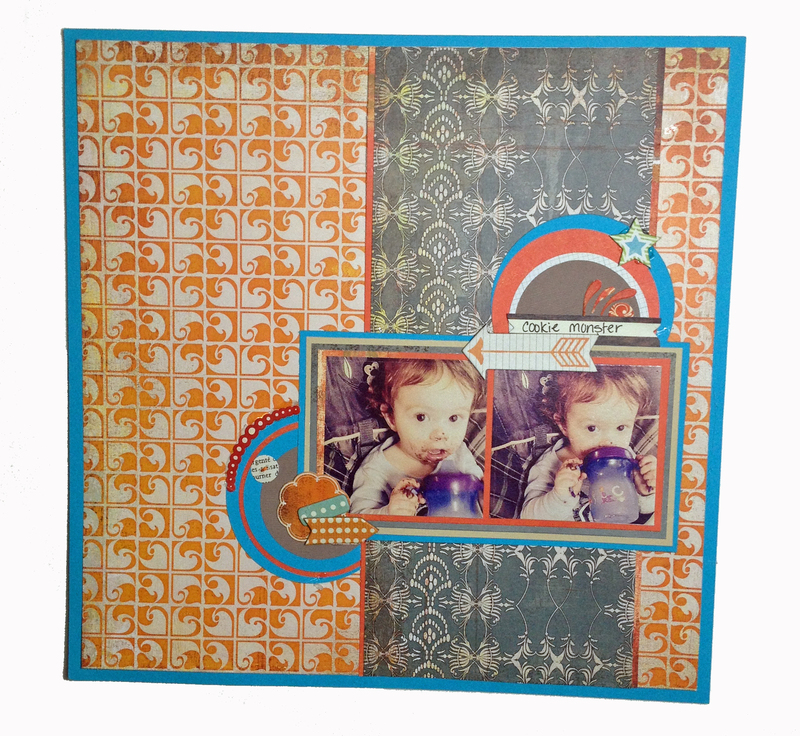 I liked mixing a pop of bright teal with the stressed, grungy look of the orange and red paper collection. This is a quick, simple layout style that can easily be used for any occasion. Feel free to use this design in your own layouts. Thanks for stopping by, and happy crafting!